Harvick started ninth, but dropped to 12th in the opening laps. The race ran under the green flag until the mandatory caution on lap 25. The No. 4 Busch Beer Ford Fusion stayed out and finished first in the first segment. 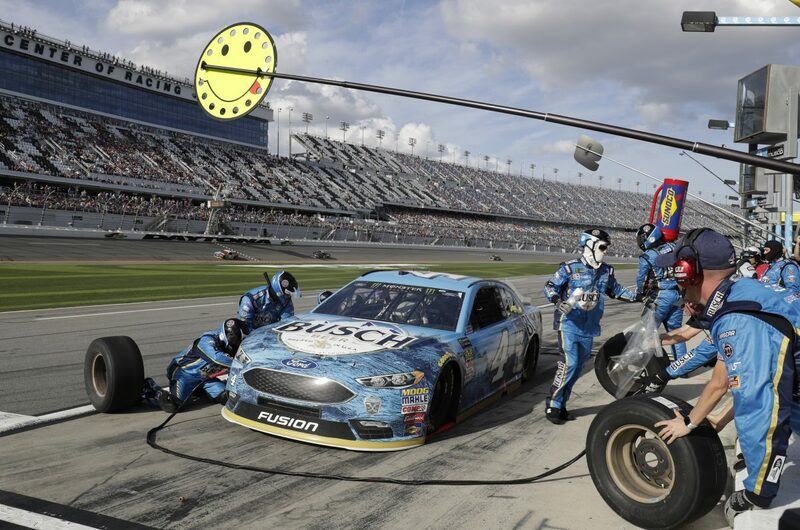 Harvick pitted on lap 26 and began the final segment in 11th. Harvick raced in ninth when the race’s only unplanned caution fell at lap 33 for Jamie McMurray’s accident. The No. 4 Busch Beer team pitted again on lap 35 under caution. Harvick fell out of the draft on lap 45 dropping from fifth to 15th. Harvick never returned to the front of the field and finished ninth after avoiding a last-lap wreck. Field was comprised of 2017 pole winners, former Clash winners, former Daytona 500 pole winners and 2017 playoff participants. A random draw determined starting positions.